Pouvez-vous me donner des indications sur la dilution conseillée avec l’anticorps anti-V5 (ab9116) pour faire du ChIP-Seq ? Sugiyama T et al. SHREC, an effector complex for heterochromatic transcriptional silencing. Cell 128:491-504 (2007). Cependant, je vous recommande d’utiliser 3-5 mg d'anticorps pour chaque 25-35 mg de monosomes utilisés mais comme de nombreuses techniques, il sera essentiel d'optimiser la quantité d'anticorps. 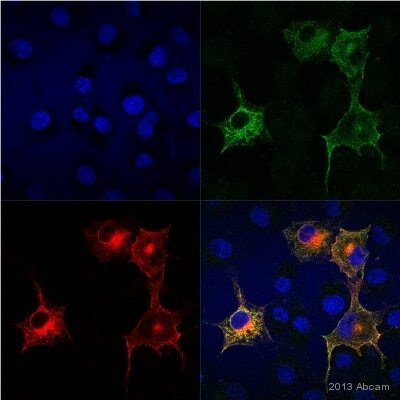 This antibody is staining all nuclei in mouse brain sections, even those not expressing the tagged protein. 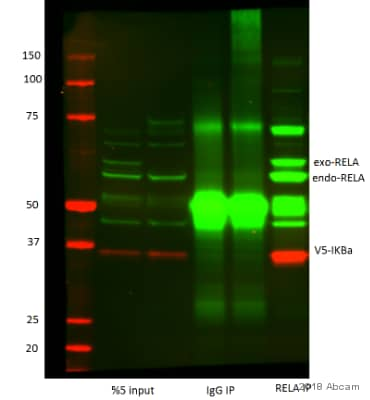 Western blot shows a band of 55 kDa in all samples. 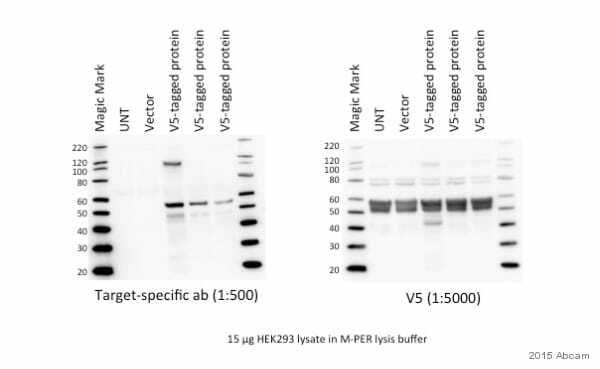 Several different blocking steps were tried, the secondary is working well with another primary antibody. Please help with the background problem! 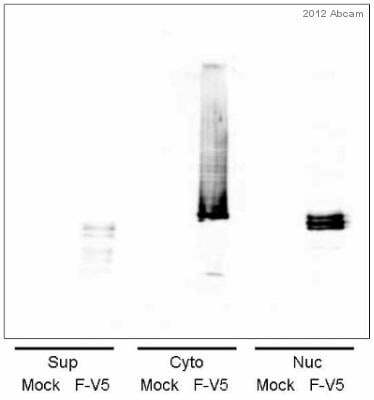 Thank you for calling today, and I'm sorry to hear that our V5 antibody is giving you so much trouble! 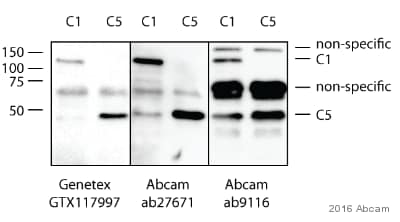 As we discussed over the phone, I'm unsure of why the antibody is detecting that band in your samples and all of the protocol modifications you've made are what I would recommend. 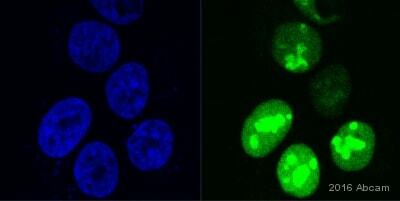 It may be, as you suggested, that the antibody is cross-reacting with a mouse brain protein. I'll ensure that we look into this issue further, and if we believe there is a larger problem with the product, we will remove it from the catalog. I've arranged a free of charge vial of ab9113 (chicken polyclonal to V5) , and you should receive this tomorrow. The order number for this free of charge order is #######. Please let me know how the replacement antibody works for you - I want to make sure you have something that works in the end. Have a great day, and best of luck in your research!